Mere days after it was announced that NBC Sports would remain the home of the Lucas Oil Pro Motocross Championship, presented by AMA Pro Racing, another major reveal brought broadcast unification to the sport of off-road motorcycle racing for the first time in nearly a decade. Beginning this January, the AMA Supercross Championship will join American motocross on NBC Sports, providing a truly unique opportunity for thousands of motocross fans to consume the action as they please through the rapidly growing NBC Sports Gold subscription service. 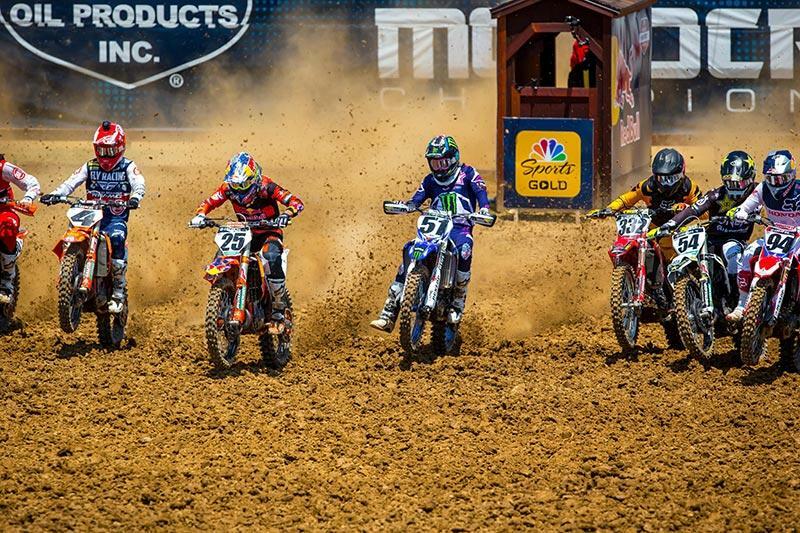 With its commercial-free live stream, extended coverage of practice, and on-demand access to every race of the season at a cost-effective price point, NBC Sports Gold’s “Pro Motocross Pass” has seen significant increases in popularity over the past two seasons. The service has ushered in a new era of consumption for fans, providing unparalleled levels of freedom and content for viewers to watch the races at their convenience and not be limited to only traditional broadcast windows. With the introduction of the “Supercross Pass” for the 2019 season, fans will have the chance to sign up and receive access to all 17 rounds of supercross at $74.99. However, as the new official home of the sport’s two most high profile championships, NBC Sports Gold has also introduced a limited-time offer to obtain the “Supercross & Motocross Package,” which will combine all 29 races across both series for just $89.99, providing full access to this summer’s Lucas Oil Pro Motocross Championship for just an additional $15! “NBC Sports Gold provides a truly unique platform to bring the dedicated motocross fan base more of the content they crave than ever before,” said Chris Stiepock, Vice President for NBC Sports Ventures. “In just two years of availability with the Lucas Oil Pro Motocross Championship the service has seen impressive growth, and the addition of supercross for the 2019 season has opened the door for a package that’s the first of its kind in any form of racing. NBC Sports Gold’s motocross coverage is an enhanced component of the overall broadcast package for the 2019 Lucas Oil Pro Motocross Championship, which will once again feature live coverage of all 24 opening motos across the 450 Class and 250 Class on MAVTV, followed by second-moto coverage across both NBC and NBC Sports Network. Tickets to all 12 Nationals are on sale now and can be purchased by visiting ProMotocross.com, the official website of the Lucas Oil Pro Motocross Championship. Special pricing for early purchasers will be available until December 31.